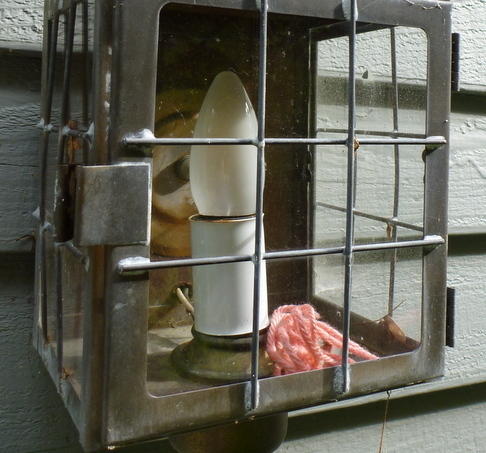 Tony’s wife, Teresa, tied pink yarn to the key, to make it easier for burglars to see. Like them, I spotted it immediately. New putters always work for a day or two, but Tony’s putter worked for the entire time he was gone, and just before he got back I bought one for myself. 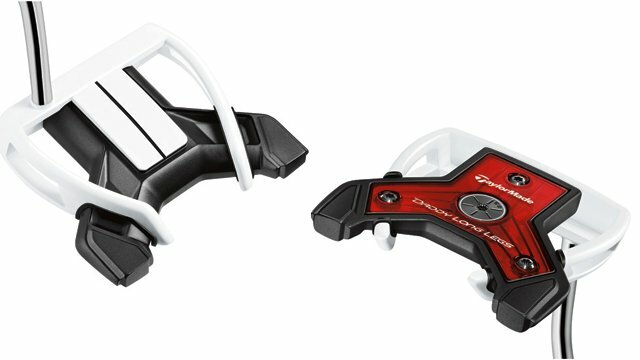 Meanwhile, Chic—entirely independently—went to Golfers’ Warehouse, as an alternative to throwing himself off Bad Putters’ Leap, and, after trying every putter in the store, he came home with one, too. That made three of us, and I just learned that Dan now has one as well. 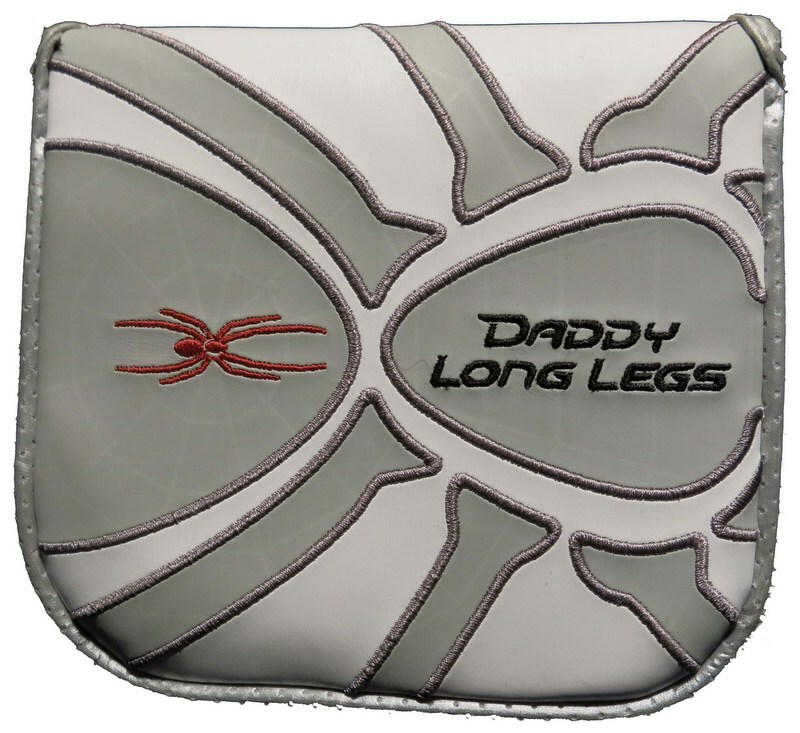 The putter is the Daddy Long Legs, by TaylorMade. The company has scientific-sounding explanations for why it works so well, but, for all I know, they make that stuff up. Whatever the real reasons are, it’s by far the best putter I’ve ever owned. It comes in two sizes—one with a thirty-five-inch shaft, and one with a thirty-eight-inch shaft—and I now own both. Tony and his Daddy Long Legs, on the way to winning the senior division of the Danbury Amateur, back in July. There’s an old guy at our club who putts with an Acushnet Bullseye, which he recently re-gripped with electrical tape and what looks like tennis-racket tape. That’s ridiculous! It’s a piece of crap! It’s been obsolete for decades! Back in the early nineteen-nineties, I spent some time with the late Karsten Solheim, the founder of Ping and the inventor of perimeter-weighted putters and irons. Solheim took up golf in the nineteen-fifties, while he was working at General Electric. He putted poorly, but he decided, eventually, that his difficulties were primarily the fault of his equipment. Most putters of that era, including the Bullseye, had heads that were uniform in thickness, so that the weight was evenly distributed from one end to the other. “Hitting a golf ball with one of those putters is like hitting a tennis ball with a Ping-Pong paddle,” he told me. “The weight isn’t in the right places, and it twists in your hands.” In his garage, he took a small rectangular aluminum bar and attached a lead weight to either end. He then attached a shaft near the center of the aluminum bar. With this crude club, he went to the practice green, and found he didn’t have to hit a ball in exactly the right place in order to make it go straight. 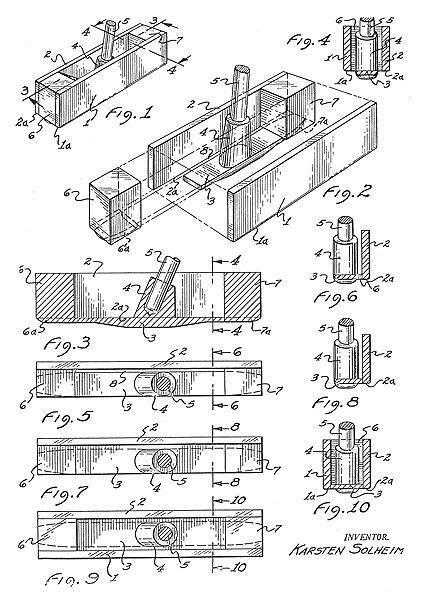 Patent drawing for Karsten Solheim’s original heel-and-toe-weighted putter, 1962. Solheim made various refinements, and hawked his putters at tour events. His big break came in 1967, when Julius Boros won the Phoenix Open with a model called the Anser. (The name had been suggested by Karsten’s wife, Louise, with the idea that the putter would provide an “answer” to Arnold Palmer, who had been unmoved by one of her husband’s demonstrations. Solheim had to leave out the w to fit the name on the back of the putter head.) 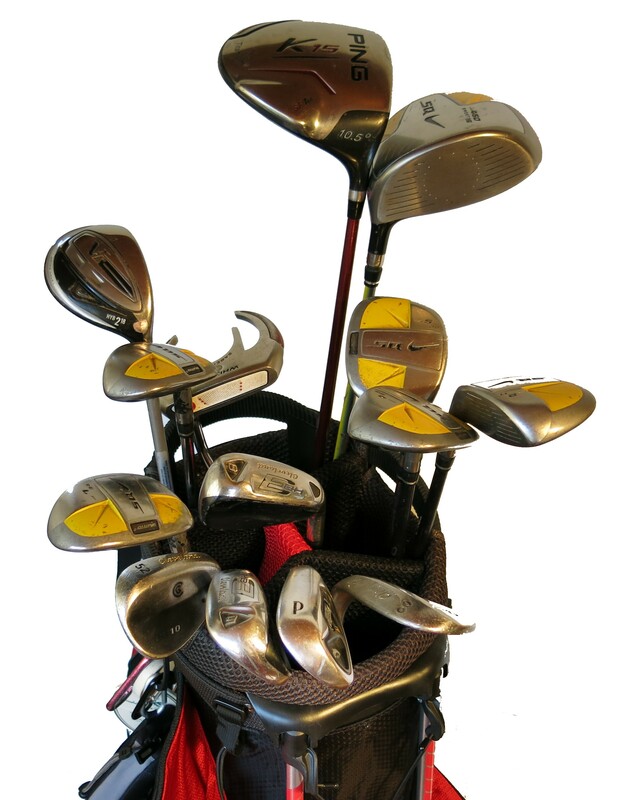 All modern putters embody his ideas about weighting, in one form or another. And the Daddy Long Legs takes those ideas to a new level. 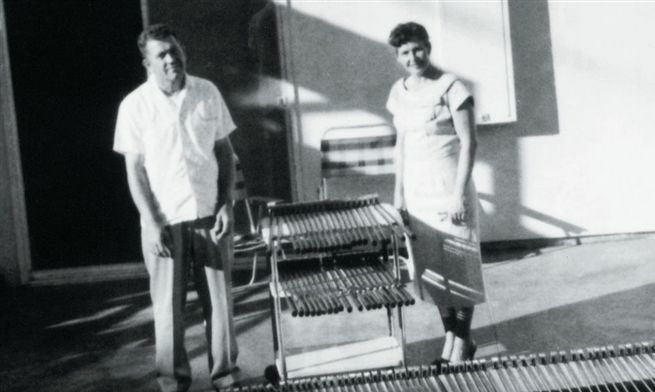 Karsten and Louise Solheim and their wares, early nineteen-sixties. Or so I assume. At any rate, I love my new putter and, no, you can’t borrow it. You can’t steal it, either, because unlike Tony I don’t keep it in my garage. This entry was posted in Equipment, What's In My Bag and tagged Daddy Long Legs, Karsten Solheim, Ping, TaylorMade by David Owen. Bookmark the permalink. I loved this game, but the putter broke my heart. 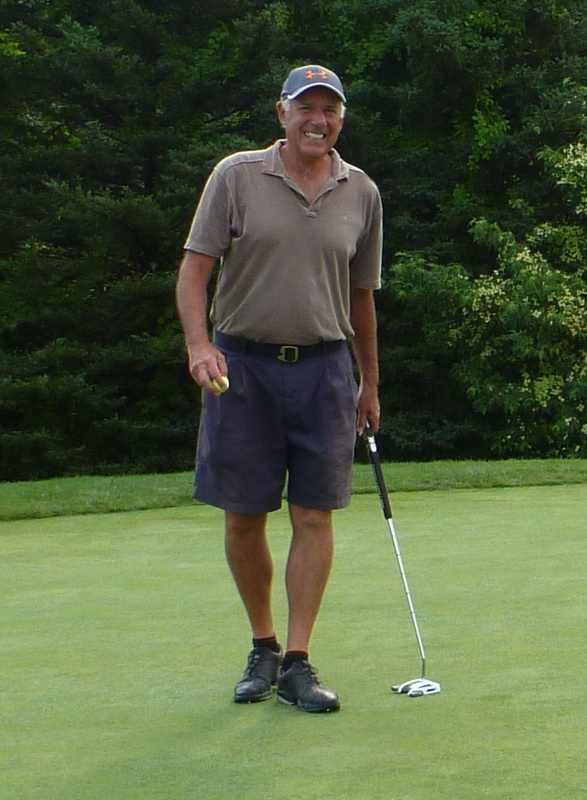 In our 2012 club championships I had a pretty good round: 17 greens in regulation, including a par 5 in 2 and a par 4 in 1 to shoot 81… I know. Jibs, long putters, short putters I’ve seen them all. 6 hour sessions on the putting green, I did it, nothing helped. They called me Mr. 44, that was the average amount of putts I needed. A few months ago a friend gave me the daddy longs. My first round below par was my first round with this putter. I found my soulmate, I am in love again, what a beautiful game this is! As a thank you to your friend for the loan of his putter you could at least have swapped out the light bulb pictured for a more efficient LED bulb, or at the very least advised him of the location of a good LED bulb retailer. This would have been the gift that kept on giving in energy saving, and with the holiday season soon upon us would have no doubt been looked upon in a kindly fashion. Does the length of the shaft mean you use an anchoring method to putt ? No. You could anchor it against your arm, maybe, but it’s really just for tall guys. One of the secrets of the putter, I think, is that there’s extra weight at the golfer end of the shaft.